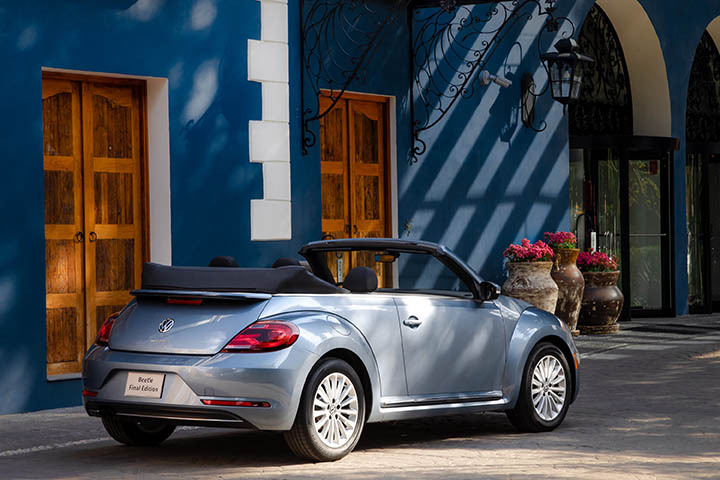 The Beetle Convertible shares the same iconic silhouette of the third generation Beetle Coupe, retaining a bold, purposeful stance. At 71.2 inches wide; 58.0 inches tall; and 168.4 inches long, wide tracks and a long wheelbase give the car sporty proportions, without losing any charm. Another feature, the Beetle Convertible retains the traditional soft top, which allows for more space than a folding hardtop, freeing up more trunk space. The soft top also allows for a roofline more akin to the original 1949 type 15’s. The top is powered by two electric motors and latches and unlatches at the touch of a button, which is located on the upper rail of the windshield surround. The top takes just 9.5 seconds to stow and 11.0 seconds to be raised. The top can be raised and lowered at driving speeds of up to 31 mph. An integrated wind blocking system is available on the Beetle Convertible as a Volkswagen Genuine Accessory. It can be housed in the trunk under the convertible top area and neatly stowed when folded and not in use. The storage compartment for the wind blocker is designed to allow full use of the trunk area. For 2019, all models feature body-colored side mirrors with integrated turn signals, body-colored door handles, body-colored side sills with chrome accents, chrome window trim and bumper accents, heated washer nozzles, an integrated spoiler, and “Turbo” badging on the tailgate. Final Edition SEL models feature these premium features as standard equipment; automatic headlights, rain-sensing wipers, Bi-Xenon headlights with LED Daytime Running Lights, LED taillights, license plate light, and fog lights. Unique wheels complete the exterior transformation. 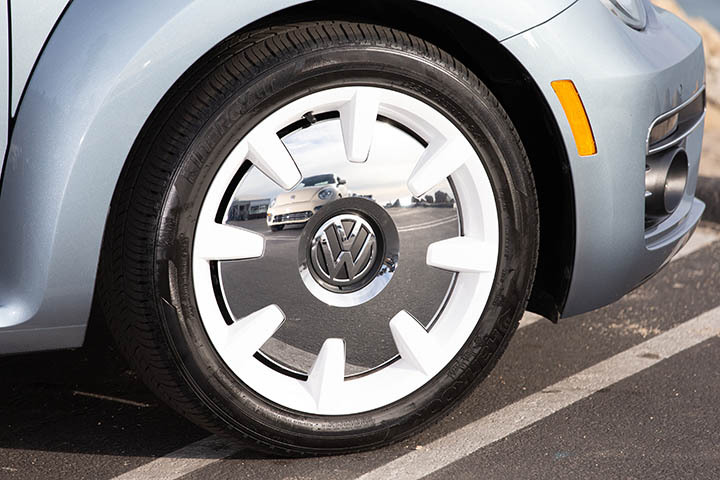 Final Edition SEL models are shod with 18-inch white aluminum-alloy wheels in a disc design that is reminiscent of the Última Edición’s body-colored steel wheels fitted with chrome hubcaps and whitewall tires. Even with a sleek and sporty roofline, the Beetle Convertible offers plenty of front and rear passenger headroom. The longer roof section allows for 37.6 inches of rear-seat headroom. The front provides 41.3 inches of legroom and 55.3 inches of shoulder room. Overall interior volume is 81.4 cu-ft, the trunk offers 7.1 cu-ft of space, and a split-folding rear seat allows this convertible to haul bulkier and larger items. Like the original Beetle, the car has an extra glovebox integrated into the dashboard the kaeferfach or Beetle bin. The lid folds upward, while the standard glovebox opens downward. Standard features on the Beetle include a rearview camera; power windows with one-touch up/down; three-color ambient lighting, body-colored dash-pad, and heated seats. Final Edition SEL models include KESSY keyless access with push-button start, leather-wrapped multi-function steering wheel with unique “Beetle” clip, stainless steel pedal caps and metal sill scuff plates, Climatronic, gloss-black center console, standard leather seating surfaces with diamond stitching and sport seats. 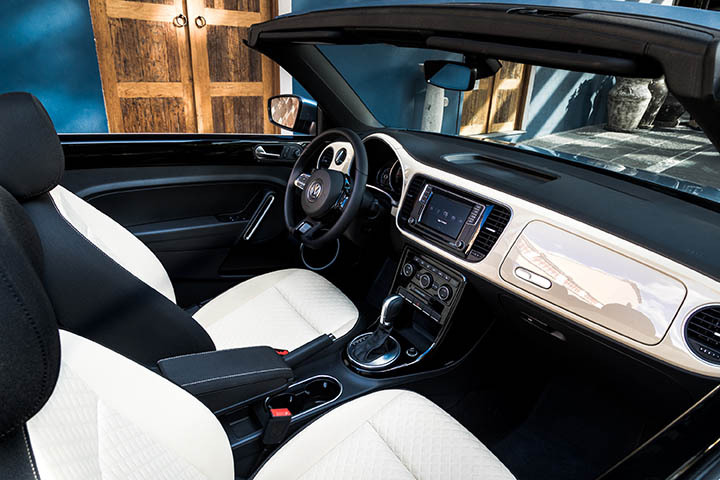 The 2019 Beetle Convertible Final Edition SEL comes equipped with a 6.3-inch capacitive touchscreen display and Discover Media system with navigation, it also features Volkswagen’s innovative MIB II touchscreen infotainment system. The display utilizes a capacitive-touch sensor rather than the more common resistive touchscreens that require pressure, enabling gesture controls like swiping and even pinch-zooming. Under the hood, the 2019 Beetle Convertible Final Edition SEL is powered by Volkswagen’s advanced EA888 engine. In the 2018 model year, the engine capacity was increased from 1.8 to 2.0 liters and incorporated the so-called Budack cycle for improved combustion efficiency. The upshot is 174 horsepower that kicks in at 4,400 rpm and is maintained until 6,000 rpm. Maximum torque of 184 lb-ft is achieved at 1,600 to 3,940 rpm. All models are paired with a six-speed automatic transmission and the EPA-estimated fuel economy rating is 26 mpg city, 33 mpg highway and 29 mpg combined. Volkswagen will end production of the iconic Beetle in 2019. 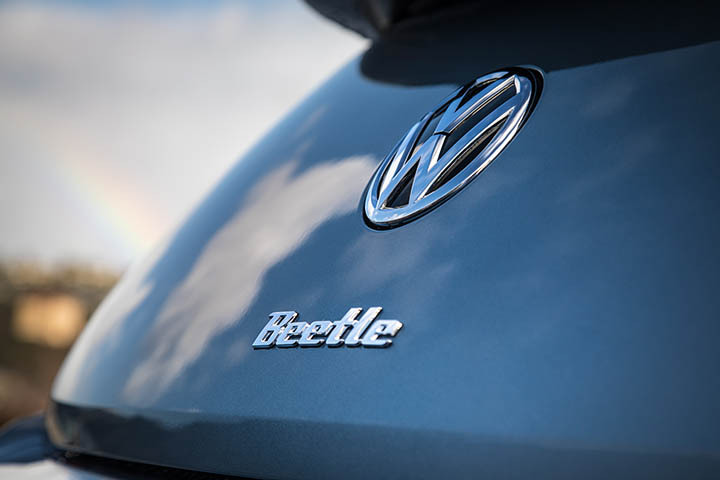 The loss of the Beetle after three generations will evoke a host of emotions from the Beetle’s many devoted fans, currently Volkswagen has no immediate plans to replace it. 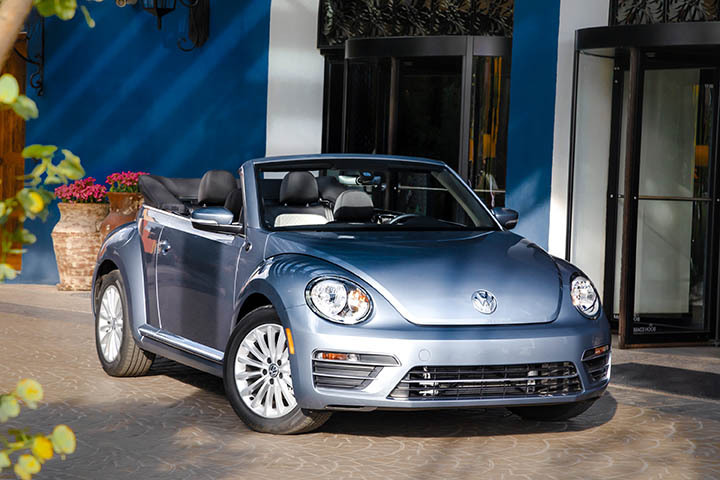 Pricing for the 2019 Beetle Convertible Final Edition pricing starts at $27,295 for SE models and $29,995 for SEL models. The destination charge for all Beetle models is an additional $895.